Next Tuesday, the Carle Place Barnes and Noble will host Lemony Snicket as he signs his new book, "Who Could That Be at This Hour?" 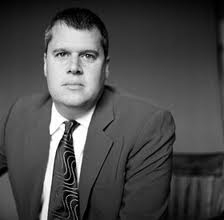 I am thrilled that Lemony Snicket, pseudonym of Daniel Handler, has finally released a new book! My children and I loved his A Series of Unfortunate Events. We loved his sardonic wit and his admonishments to the reader to stop reading his books, "right now." For a glimpse of his humor, check out the interview in yesterday's Newsday.